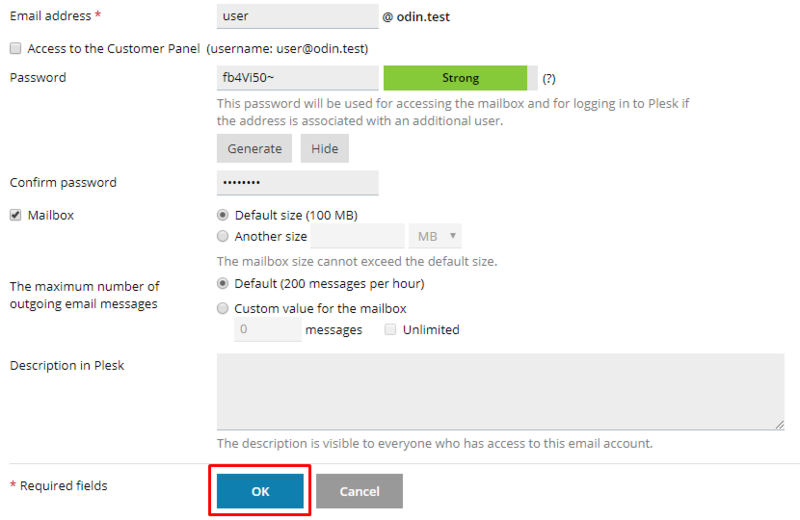 How to create email in Plesk? 2. Click the Email Address icon. 3. Click the Create E-mail Address button. Enter a name for this email account. Specify the mail box size limit (100 MB is a good start). 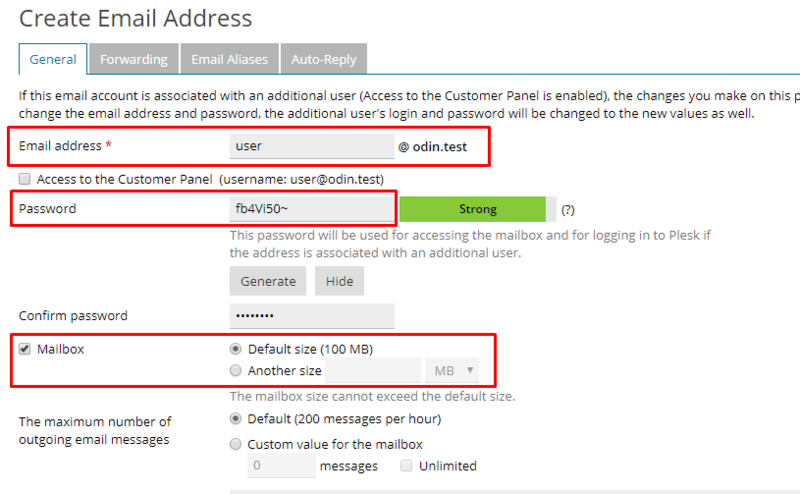 Enter and confirm a password for this email account. 4. Click the OK button to finish.